The Book Thief by Markus Zusak is based in Nazi Germany during Second World War, but its not a story just focused on war. A 8 year girl is separated from her birth parents, her brother dies a cold winter death, however its not just a story of her struggles in her life there after. Her foster parents open their home for her, in exchange of extra ration allowance and some money ofcourse, but its not the story of their cruelty or their affection towards their foster child. The kid is trying to find the identity in the changing Germany, the Furher’s Germany, but this story is not centered around Furhrer. She made some friends in school, and some enemies. She enjoyed playing football with them, reading books and also stealing, but inspite of the book being titled the book thief, its not about stealing or even about books. Her new family hides a jewish boy in their basement to protect him from SS, but again, its not about the holocaust. “Death” is the narrator of this story, but still this story is not about death or dying. As I wrote above, ‘the death’ is the narrator of this book. I know you are imagining a dark, hooded shadow speaking from the elevated height with a shallow voice. I had that image too but that disappeared as the book progressed. And here is a little information you should know, the death here is not the cold figure who enjoys taking people’s life away. Sometimes he shows compassion, sometimes some emotions and most of the time, he is a random fact teller. That era of human history is known for war, ambition, racism and brutality. Still Zuzsak managed to create beautiful characters there. Not only the primary characters like Liesel (the kid), her best friend, her foster parents, their jewish secret guest but also other characters that filled this story. The mayor’s wife, families in the neighborhood or boys from school, every character offered the depth and understanding of those times. History was not the central theme of the book, but being a period book, it had a consistency of the times. As the narrator was omnipresent in all those events, he kept throwing historical facts. Also notable events like “The march of Jews”, “Burning of the books”, “Berlin Olympics” and “Jesse Owens” had presence in the story. Reader’s empathy is one of best feeling. When someone reviews the book and you know how exactly he/she felt while reading the book or when Liesel takes shelter of books, you understand; when she steals them, you understand; when Mayor’s wife invites Liesel, you understand. Because here, the love for books is the common denominator. The childhood in the book is beautiful. Even during war and hardship, there were no brakes nn the adventures. Scarcity invented new games and I bet, after reading this book, you will be tempted to call your annoying friend ‘Saukerl’. 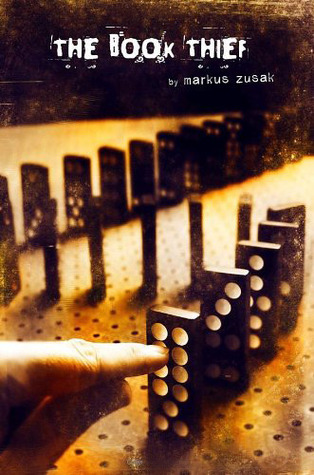 I rated The Book Thief, by Marcus Zuzak 5/5 stars in goodreads. This sounds like a book I would like to read. Thanks for the review. Great review Avinash.. I truly enjoyed it as I liked your points that- the book offers random historical details, lovely childhood and of course the love of reading… Its been in my must read from a long time and just now upgraded to urgent ! I do love that book! Great review. Just finished this book, and I absolutely loved it. Agree with you – Though this book is set in pre-war (and wartime) Germany, it’s not about the war. It’s not about the holocaust. It’s not gloomy or depressing or negative as are most of the books that are set during that era. It’s all about human relationships. Loved the detailed description of each character in the book. Thank you so much. I am glad you liked my review. This is one of the best contemporary book and I recommend this to everyone. Thanks for the review. The book sounds interesting. Previous Post Which was the last watchable Airtel Commercial ?